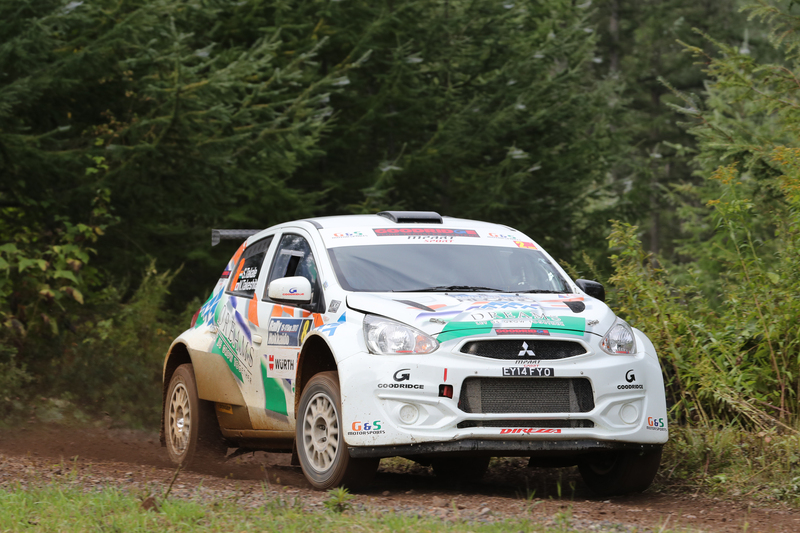 Driving an Mpart Sport built R5-specification Mitsubishi Mirage, Swedish crew Robert Blomberg and Lars Andersson finished a highly credible second in Rally Hokkaido, the Japanese round of the FIA Asia Pacific Rally Championship. This impressive result in such a challenging event clearly endorsed the Mirage as a true contender in the championship’s AP4 category. 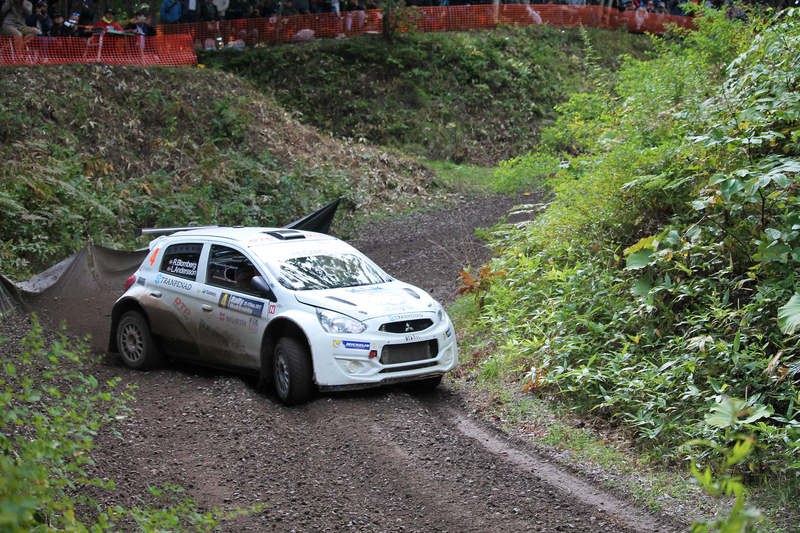 Hotly tipped before the event to record their first victory this season were the Swede’s Finnish teammates Jari Ketomaa and Ville Mannisenmäki, but after an inspired start, their rally was cut-short on stage three, when a hard landing after a jump caused too much damage to continue. In the third Mirage, the Indian/Japanese crew of Sanjay Takale and Norito Takeshita was plagued by punctures on Saturday, but a solid drive on Sunday saw them achieve their goal of getting to the finish. 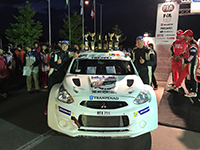 With Japan the home of Mitsubishi Motors and with fans of the brand showing their support for the three Mirages from the moment the cars were rolled out of the container, everyone in the Mpart Sport team was fired up to achieve a top result. Based in Obihiro in the south of Hokkaido Prefecture in northern Japan, the rally route comprised one spectator stage on Friday evening followed by a further nine on Saturday and eight on Sunday. 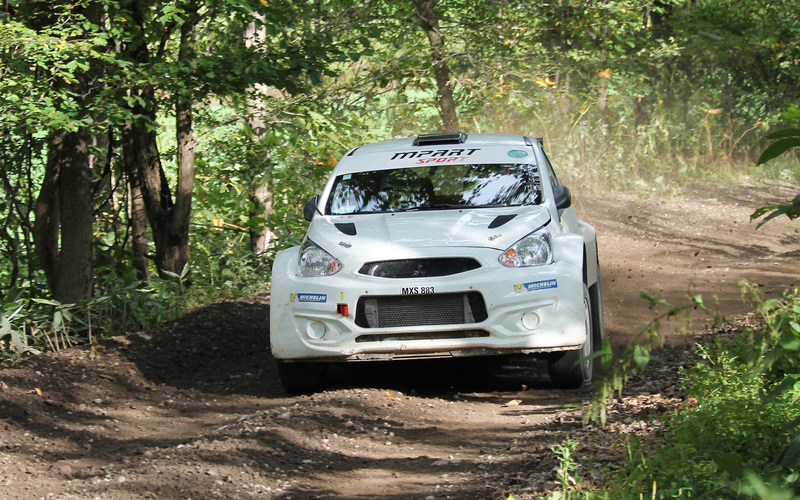 All of the event’s 222km of competition took place on gravel surface roads in the forests and agricultural land in a region north of the host town. 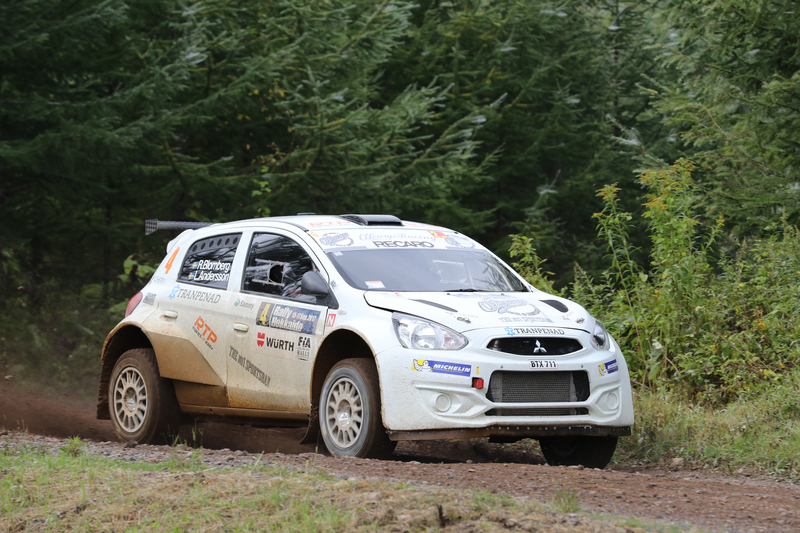 Following the first stage and the overnight halt, all three drivers were delighted with their cars’ performance, the Mirage demonstrating that it’s a competitive package over the Japanese stages. In third place, just behind the two factory-supported Skodas and with every confidence in his car, Ketomaa felt he could push and set to make his mark in the 29km Kunneywa stage that is renowned for its demanding conditions. Ketomaa’s plan was working, up to the point when he crossed a bridge at speed, the car pitched into the air and then landed heavily on its nose. Although continuing for a few 100 metres, a broken sumpguard and damage caused by the impact meant the Finnish crew would go no further in the event. It was a disappointing and early end to a drive that had great potential. Takale had problems of a different kind on the same stage - the sharp stones and sizeable rocks on the surface causing two punctures and with only one spare, he too was sidelined together with a number of other competitors. 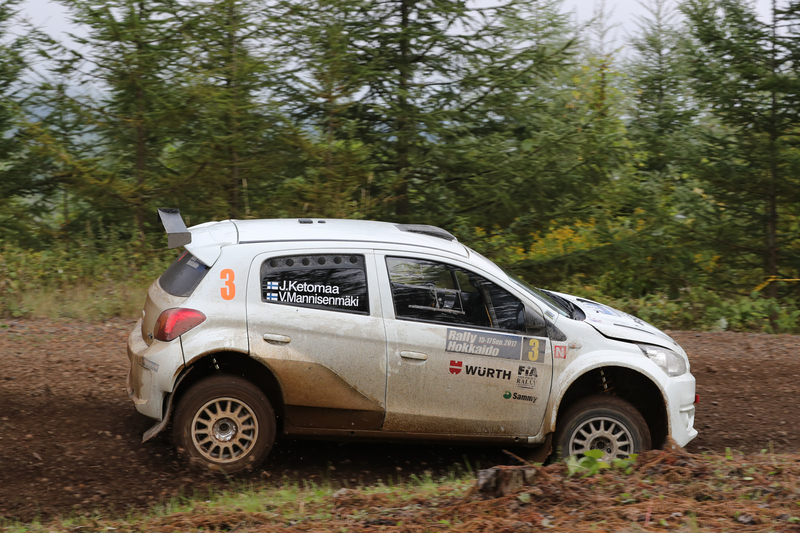 Whereas the damage to Ketomaa’s car meant he was unable to restart the following day, there were no such issues for Takale, who only needed two replacement wheels in order to continue – albeit with time penalties applied for not finishing eight of the Saturday stages. In contrast, Blomberg had been playing a strategic game and had a problem-free run on Saturday morning. A calculated performance that combined speed and caution meant they avoided any issues while many of their rivals did not. 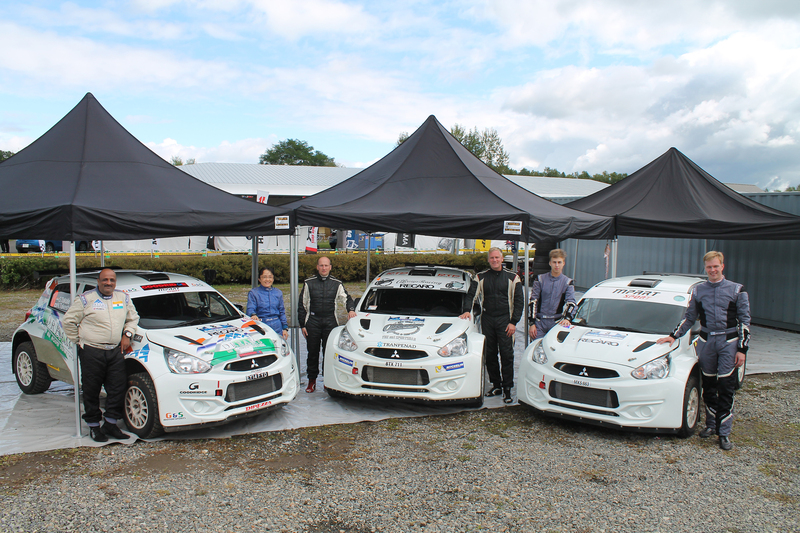 It meant they ended the day in third place overall and second APRC crew. 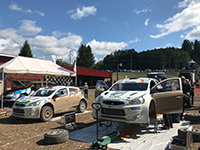 With a similar plan in mind for Sunday, they found themselves elevated to second overall following the second stage of the day when second-placed Yuya Sumiyama retired. 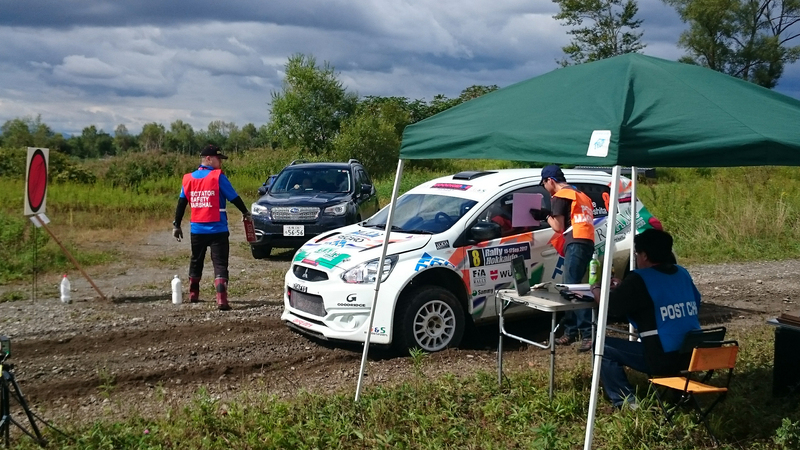 With the leader and APRC Champion Gurav Gill now a few minutes ahead of them and a sizeable gap to the third-placed Satoshi Imai behind them, consolidation was the order for the rest of the day. Following a perfectly executed run for all of the remaining stages, it was only when Blomberg and Andersson drove onto the finish ramp and stood on the podium that the scale of what they had achieved truly sunk in. As they took the applause and absorbed the moment, they admitted was the best and possibly the moment memorable result of their rallying careers so far. 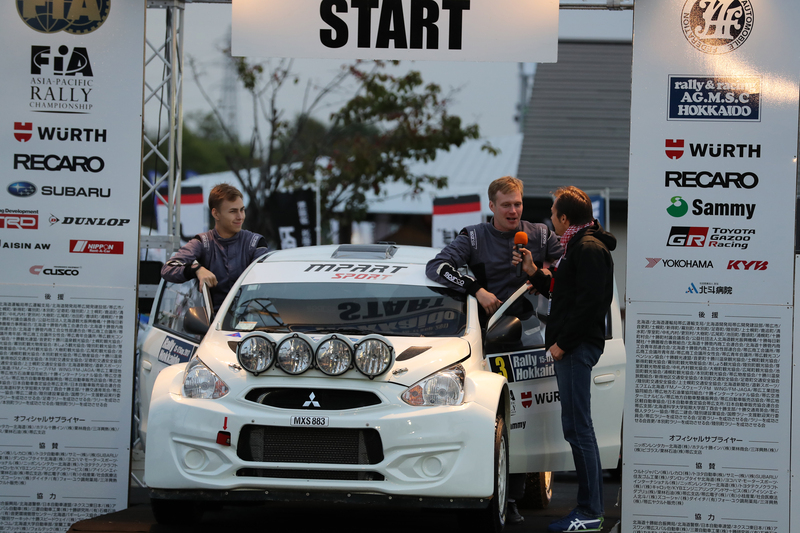 For the team it was a satisfying result too, as they had achieved what they set out to do, by putting a Mirage on the podium in Japan, the event a qualifying round for one of the toughest rally championships in the world. The Mpart Sport team is now considering its plans for the rest of the season.